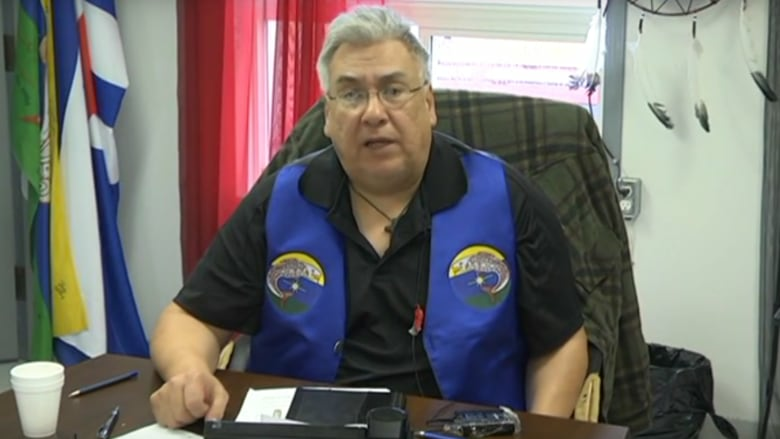 The chief of a northern Ontario First Nation says if the province goes ahead with a planned repeal of the Far North Act, whatever rules and regulations replace it will have to work with his community's own laws. Kitchenuhmaykoosib Inninuwug (K.I.) Chief Donny Morris wrote to Premier Doug Ford early in March, as the provincial government takes input on its proposal to do away with the 2010 legislation, enacted to set guidelines for land-use planning in the far north. The act itself, however, has drawn criticism from First Nations, saying they were never consulted when the previous Liberal government enacted it. "The Far North Act may be on its way out, but our laws, our Indigenous legal orders will remain," Morris's letter said, adding that those legal orders include regulations surrounding how the community is to be consulted, rules around allowable activities on K.I. 's traditional territory, as well as a declaration that sets out laws to protect the local watershed. The community, located about 600 kilometres north of Thunder Bay, encoded its laws as a response to the 2008 jailing of six members of the First Nation's council — including Morris — which happened during a dispute with mining company Platinex. The leaders were released by Ontario's Court of Appeal after they served more than two months behind bars. "We had never recognized or acknowledged the Far North Act, we never took any funds that they provided for land use planning," Morris told CBC News. "I just sent a letter to them ... we have a treaty-based understanding with both levels of governments and K.I., and that mutual respect should be shown." The proposed repeal of the Far North Act is open to public comment until April 11. The press secretary for Indigenous Affairs Minister Greg Rickford said the government will continue to engage with northern First Nations during the consultation process "and discuss how we can collaboratively open the north up for business." Morris's letter said that he fears that the changes are to "fill Ontario's coffers with cash and make fortunes for the mining and energy corporations." "For Industry and government, our Indigenous laws, title and rights are just more red tape." Morris said he hasn't yet gotten a response to his letter and hasn't been in touch with Rickford but said he expects they will speak soon and noted the two are "good friends." "I'm pretty sure he's not going to stick me on the side," he said.